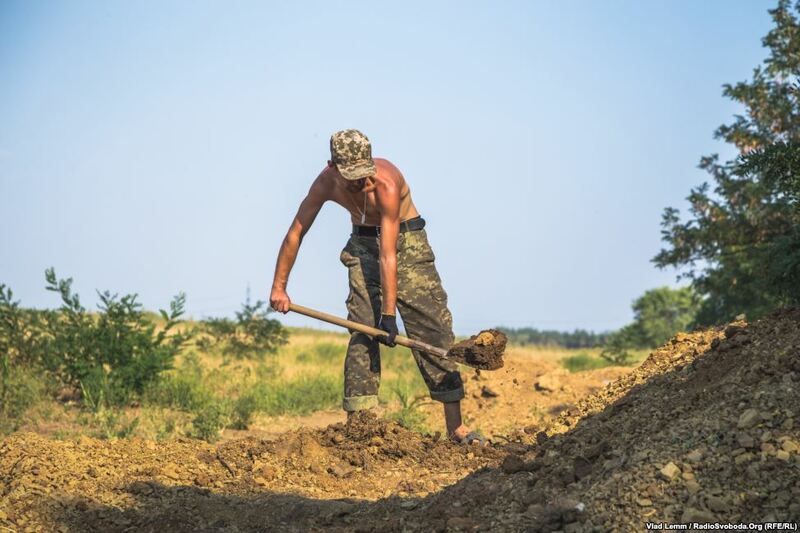 The situation remains rather tense in the ATO zone; the enemy sabotage and reconnaissance groups intensified their activities along several sections of the demarcation line simultaneously. Shelling of the ATO forces’ positions was observed from small arms and RPGs. Occasionally, sporadic fire by terrorists from AGS-17 automatic grenade launchers and 82-mm mortars was observed. In particular, activity by Russian terrorist forces’ sabotage and reconnaissance groups was recorded in the area of Avdiivka, in the direction of Artemivsk, near Stanytsia Luhanska, in the areas between the towns of Popasna and Shchastya, and Volnovakha and Telmanove. The enemy sabotage and reconnaissance groups are scouting out the ATO forces’ tactical rear and combat detachments; [they] carry out short-lived attacks on the strongholds and checkpoints of Ukrainian troops, and install landmines in the area – during the last few days, seven landmine and trip wire explosions by ATO servicemen were recorded. In the area between Luhanske and Myronivske, a group of snipers operated under cover of heavy machine guns. In the area of ​​Mar’inka, the ATO forces were fired at from small arms and 82 mm mortars. South of Telmanove, in the vicinity of Mykolayivka, several enemy infantry groups carried out two short fire strikes on the positions of Ukrainian troops. In addition, the relocation of Russian-occupier troops and the transfer of supplies to the places of their deployment continues. In particular, a convoy of four BMP-2 armored personnel carriers, two MT-LB vehicles, and two KAMAZ [cargo trucks] arrived in Starobesheve from Amvrosiivka. South of Luhansk, in the vicinity of Novosvitlivka, a ​​mechanized infantry unit of militants on board of an APC was observed, accompanied by 4 fuel tankers. Two terrorist tank companies arrived in the area of Yenakijeve, accompanied by a BRM-1K armored reconnaissance vehicle and 6 army [cargo] trucks. In the area of Makiivka, a battalion defense area is being constructed (up to 5 km [3.1 miles] along the frontline and over 2 km [1.2 miles] deep). The “LNR” [Luhansk Peoples’ Republic] began to staff the so-called border detachment that would be posted at the Russian-Ukrainian border on the territory controlled by Russian-terrorist forces. As of this time, two units have been formed, up to one combined arms company in size. Public executions started in Horlivka. A local commander of a checkpoint was shot dead by Russian servicemen for an attempted unauthorized fire from an artillery unit. Russian command in the Petrovskyi district of Donetsk handed down and carried out an execution of two local terrorists for insubordination. This entry was posted in Dmitry Tymchuk, English, English News, South&Eastern Ukraine, War in Donbas and tagged #FreeAfanasyev, #FreeKarpyuk, #FreeKlykh, #freekohver, #FreeKolchenko, #FreeKostenko, #FreeLitvinov, #FreeSavchenko, #freesentsov, #Information_Resistance, #RussiaInvadedUkraine, #StopRussianAggression, #UkraineUnderAttack, ‪#‎FreeDegermendzhy, ‬ ‪#‎FreeChiygoz, Dmitry Tymchuk, Donbas. Bookmark the permalink.